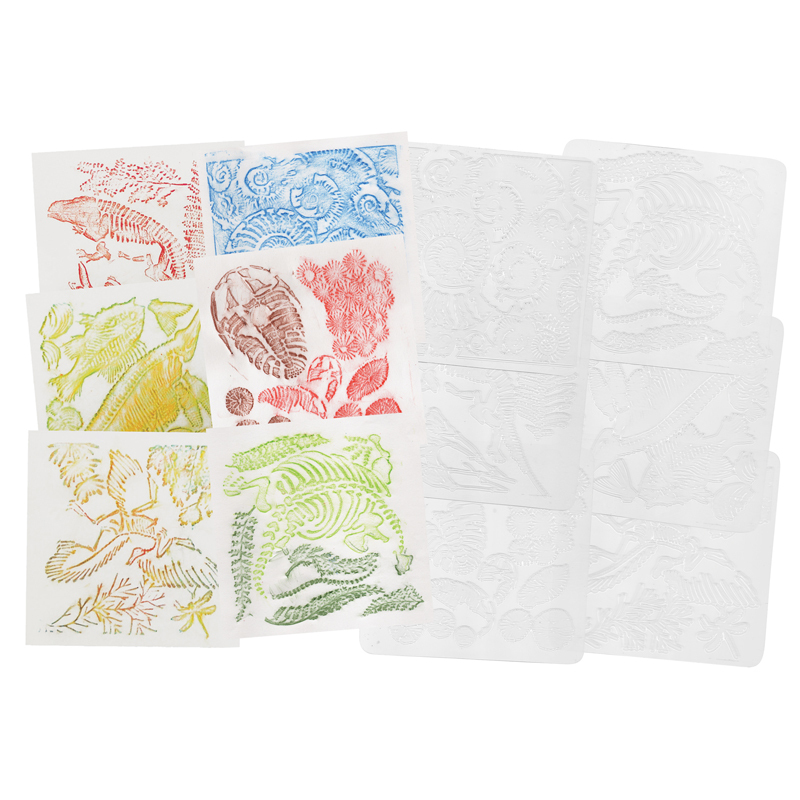 Rubbing plates are versatile and fun for art, design, science, geography and much more! This hands-on, easy product is sure to enhance learning concepts. 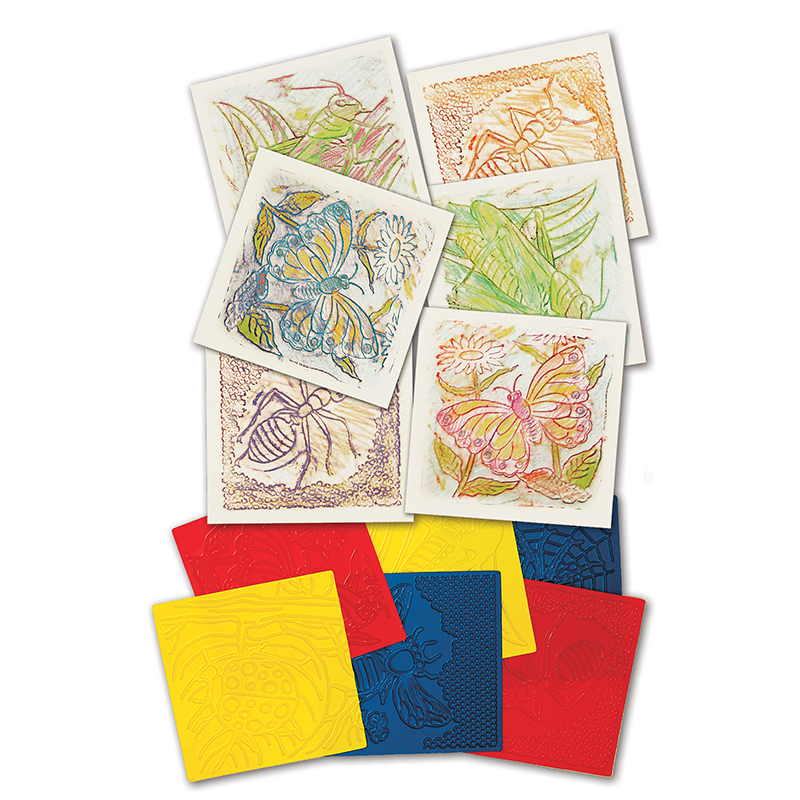 Add texture to artwork by placing paper over a plate and rubbing with a crayon, marker or pencil to make the design emerge. Layer designs for more effects. Fill with or press into modeling clay. Great with paper mâchÉ. Make sun catchers using white glue and food color. Simply fill tray and let dry. Peel the resulting mold off and you're done. Each set includes a guide. 16/pkg. 4½ x 6½" (11 x 17 cm). 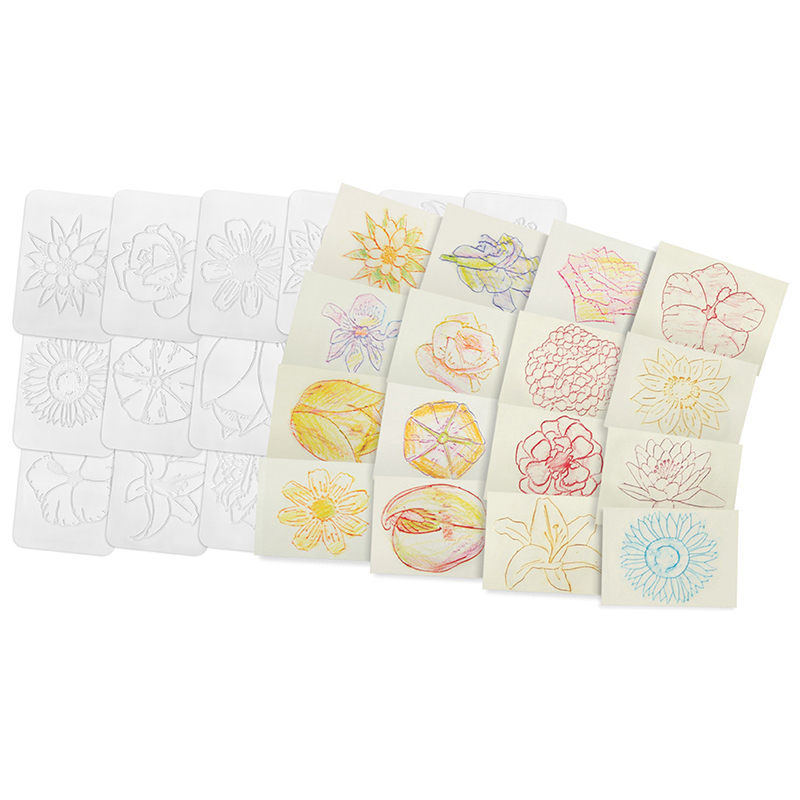 The Rubbing Plates Flowers can be found in our Rubbing Plates product category within the Arts & Crafts.